Okay, I know we’re all supposed to strive for unity. We need to reach out to each other, cross the divides between us. Connect, cooperate, unite. Especially at this time of year, when the holidays bring us together with friends and family in our annual rituals of connection. Separation leads to suffering, we’re told. This is our season to overcome it. We’ve all experienced the pain of separation at some time or another. There’s no denying that it can be excruciating. At the same time, though… we still love our distance. The separation between us actually draws us closer together. It makes us more keenly aware of how much we need to connect. Like in the image above, hold your hands just an inch or so apart from each other. See how long you can do that, until they’re drawn together. They may seem to have a life of their own, as your palms meet or your fingers intertwine. Hold your hands, palms facing, an inch apart. Leave them there for a count of 10. Now, slowly draw them apart… feel that? Feel how each hand pulls on the other, almost like there’s an ever-strengthening magnet between them? That’s the connection we experience from separation. 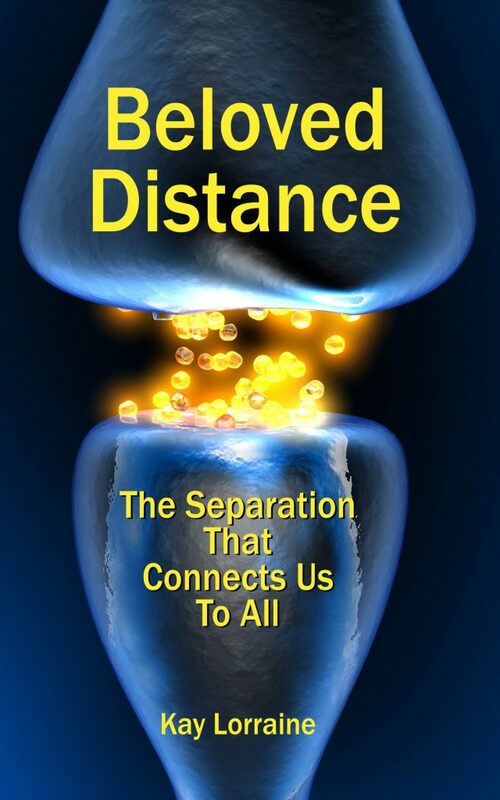 And that connectedness across separation actually animates our entire bodies. The gaps between our neurons — the synaptic clefts — are the sources of neurotransmitters which pass information throughout our systems. And the total distance actually adds up to thousands of miles, when you tally it all up, end-to-end. That’s a lot of distance. We have other types of distance in our lives, as well. Whether we’re starting a book that begins with an intriguing premise (and promises an ultimate resolution at the end)… or we’re watching a football game between two teams that are so evenly matched that nobody knows who’s going to win… we’re incorporating distance into our lives. It’s the journey across that distance which intrigues us, pulls us in, and holds us rapt until we reach the “other side” of that gap between what-is and what-will-be. We love our distance. We’d better… we’re chock full of it.